Legal Recruitment Blog: Recruitment dilemma – a candidate telephones to cancel a job interview because they are sick. Would you recruit them? We probably come across this issue a couple of times a year, and it is a lot less prevalent than one may imagine it to be. You arrange a job interview and it’s all set to go but on the morning of the interview the candidate telephones to say they are not feeling very well and what should they do? My gut instinct as a recruiter is to tell them to attend the job interview come what may, unless they are utterly incapacitated by the need to sit on a toilet or lie in bed with a broken limb. Sometimes this pays off but on other occasions it does not. Candidates go along to interviews feeling dreadful and are pleased they did so because they have been able to hold it together for the duration of the interview and everything has gone well. Other times the candidate has attended the job interview feeling utterly dreadful, performed really badly and not got the job. So the dilemma is; if you were an employer would you recruit someone who had telephoned in sick on the morning of an interview and tried to rearrange it? Would you accept that it is perfectly human and quite normal to be ill from time to time, or would you think it was a sign of things to come and refuse to re-interview them? We come across both approaches from our clients, some of whom are more than happy to rearrange and understand entirely when somebody is ill, but others simply thank us for notifying them but never actually get back to rearrange the job interview. Our managers were sat having a conversation about this the other day, and out of the 4 of us in senior management roles at Ten Percent, only one of us would actually rearrange the job interview regardless of the circumstances. The others would take a more cynical approach and decide that because the person has been unreliable on this occasion it is unlikely we would want to employ them in future. I appreciate this is utterly cynical and completely heartless as well as terribly brutal! What would you do? You could take the nice approach and send your understanding to the candidate that their illness has precluded them from attending your job interview and wish them well, telling them not to worry about rearranging until they feel much better. This is surely the nice approach. But what if you had gone to the trouble of arranging for three interviewers to attend, all of whom had cancelled appointments, one of whom had travelled 300 miles to attend the job interview from an external office and you had booked a meeting room and arranged for refreshments? Would you feel quite so understanding and nice towards the person then? We recently had a job interview arranged where a candidate failed to turn up but the senior partner of the firm had been so keen to impress this particular solicitor that he had arranged a dinner at lunchtime for her to meet all his staff and discuss the role, the location and the future prospects in a more social environment. 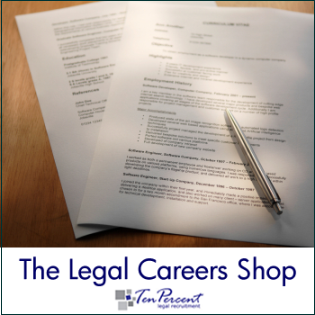 Unfortunately the candidate was a no-show - how would you have felt if you had been the senior partner and arranged all of that for the prospective candidate? You can see that it is not as easy a dilemma to solve if you are the boss. If it was just you attending the job interview as the owner of the business and you had gone to no trouble to do this, simply putting aside 30 minutes during the day to conduct the interview, then you may not be too inconvenienced if somebody did not attend, and it may not necessarily bother you too much in these circumstances. However as soon as you go to any trouble at all in relation to the interview and then somebody cancels on you, I think it is a whole new ball game. I could write a nice answer to say I would be entirely understanding and accept that these things happen and agree to rearrange, but in reality I may well be seriously annoyed that the candidate hasn’t made the effort to attend in any event. After all, bear in mind that like most directors or partners in small businesses; in 20 years of running my company I have never taken a day off sick, mainly because I haven’t been able to (cue tales of sitting in A&E emailing clients, not being able to answer the phone for a week due to coughing fits etc..etc..!). If you think about this mentality from the employer’s perspective then you can perhaps see why our standard advice is to advise candidates to attend interviews for jobs they are keen on unless its physically impossible.